Rebekah Collings has been a familiar face on the Manx music scene for a number of years. While a student at the Isle of Man College, Rebekah applied for a grant from Culture Vannin to buy a new guitar for the purpose of playing Manx traditional music in bands, sessions, community events and for dance groups. Culture Vannin approved the funding, and Rebekah was able to purchase a Taylor electro-acoustic guitar. Rebekah first began playing Manx music while at Castle Rushen High School and has since performed with bands including The Bugganes, The Reeling Stones, Tarroo Marroo, Sannish, Ealee's Ceilis, Skeeal and Perree Bane musicians. She has represented the Island at festivals including Cwlwm Celtaidd in Wales and helped run extra curricular Manx music activities at Victoria Road school. Rebekah won a N.A.M.A award for her contribution to Manx culture, namely in recognition of her voluntary work at adult beginner sessions for Manx music. 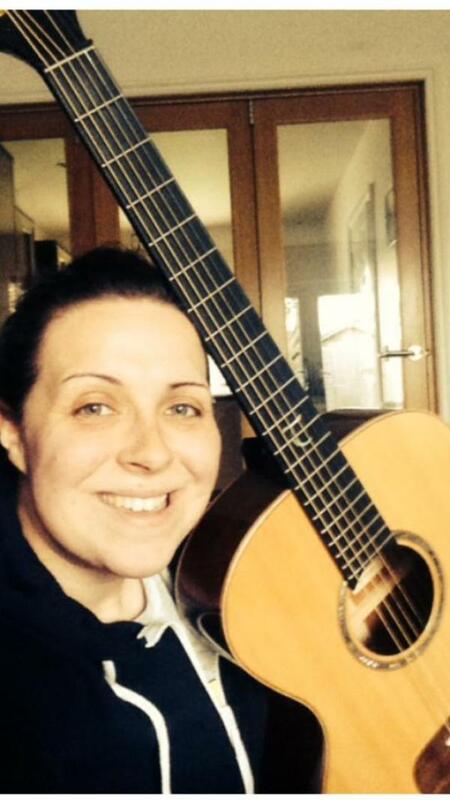 Beki writes: "Thank you for the grant you awarded me with which I bought a Tanglewood TSM-2. With this guitar I have been able to go into schools and provide Manx music workshops to primary school children on the Island. I have also been able to perform in concerts and gigs around the Island and promote Manx music to a wider audience. The new guitar has helped me to advance my playing technique and better myself. Prior to being awarded the grant the guitar that I was using had a considerable sized hole in the main bodywork which hindered me from playing to my full capability. Without your grant I would not have been able to purchase such a high quality instrument. I am continuing to play in music concerts around the island and have even started a duo with a harpist based in the north of the island. Your kindness and generosity has been received with the warmest gratitude! Gura milley mie ayd"